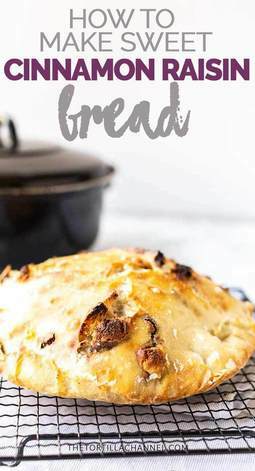 This easy no knead bread recipe is the answer for everyone who loves fresh baked bread, with lots of air pockets and a crunchy crust. 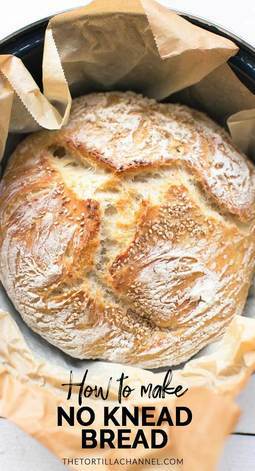 It is always time for fresh bread. 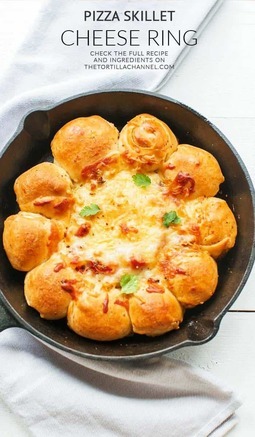 This cast iron pizza bread with mozzarella dip is a great recipe to make when you have guests and want to serve something different. 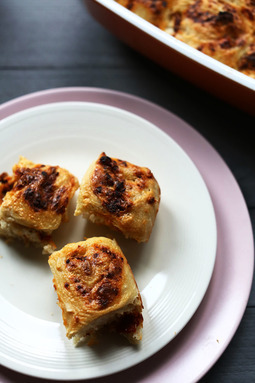 It is made with pizza dough, garlic butter, tomato mix and mozzarella cheese. 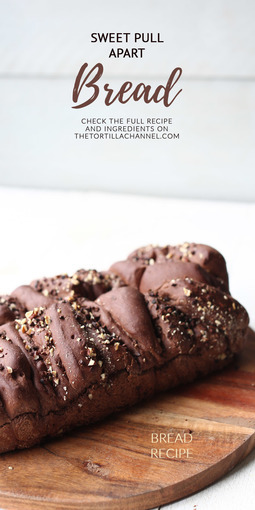 A bread recipe for sweet pull apart chocolate and nuts bread. It contains spelt flour, cocoa, cocoa nibs and lots of pecan nuts. 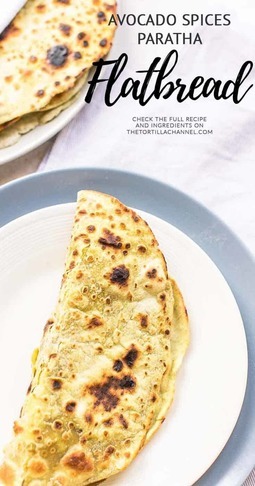 This recipe shows you the five secrets to perfect pita bread. 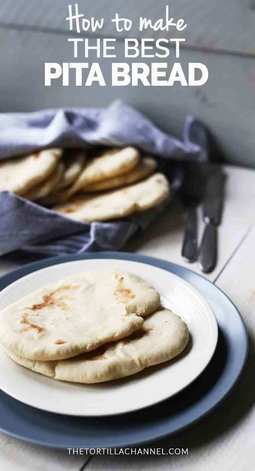 If you follow the steps you get fluffy, soft and delicious pita bread that can't go wrong. 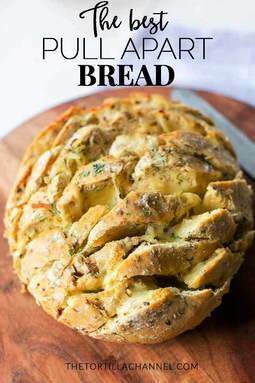 This pull apart bread is easy to make with garlic butter and shredded cheese. 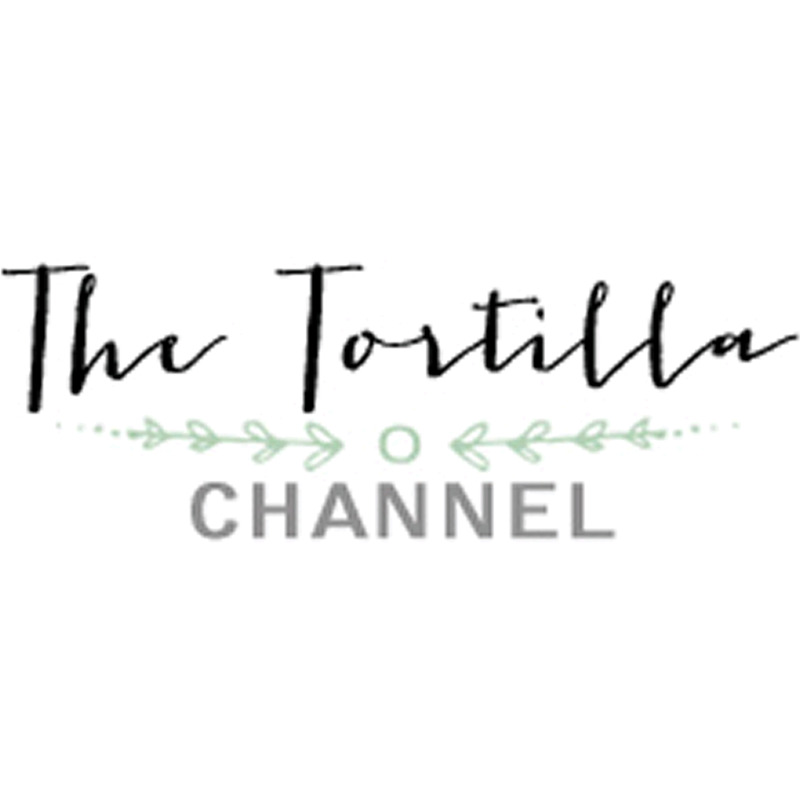 It is a fun recipe to make and to eat as an appetizer or as a side dish. 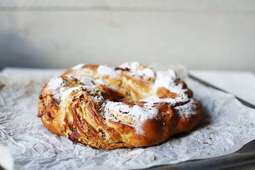 Stollen bread or Dutch christmas kerststol bread ring is a sweet bread with raisins, pecan and almond sugar paste. 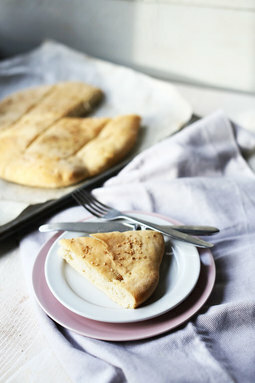 To make this tapenade bread you only need all purpose organic flour, salt, warm water, yeast and a (homemade) tapenade. It's a great appetizer or snack. The dough is made the day before to let it double in size overnight.